" We often regard Sri Lankans with extra appreciation. So when we were approached to provide the venue for the Sri Lankan peace talks, the Thai people and my government were very pleased and honoured to do so," said the visiting Prime Minister. 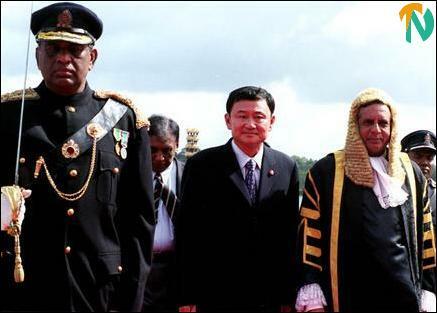 Thailand Prime Minister addressing Sri Lanka's parliament. "I personally instructed all the authorities concerned to render whatever was possible to facilitate the logistic arrangements of the talk venue. We were happy to be of any assistance to contribute towards peace, harmony and prosperity in this land of friendship, and wish you well in your endeavors. We shall be happy to continue to provide the venue again any time, if and when required," he said. 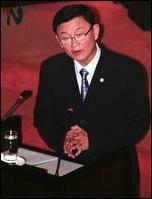 The Thailand Prime Minister was the second personality to address Sri Lanka's parliament after fifteen years. The last visitor to do so was the then British Prime Minister, Ms. Margaret Thatcher, in April 1985, parliamentary sources said. "The peoples of our two countries look forward to the time when we can make use of our long history and cultural heritage to the best benefit in bringing development and prosperity for our two peoples. Thailand stands ready to extend our assistance and to work with the international community to help regain the livelihood of people in areas previously torn by the effect of wars and armed conflicts," said Dr. Thaksin Shinawatra. He further said that his country would be pleased to share its experiences, if required, in the reconstruction of East Timor, Afghanistan, and now Iraq, especially in de-mining, education, health care, agricultural technology, and rural development, with Sri Lanka's relevant agencies. 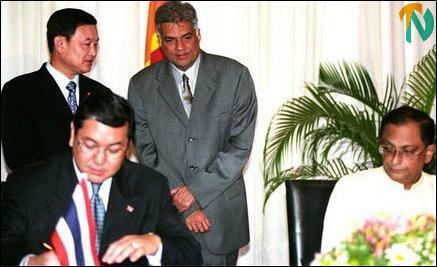 Signing of the “Agreed Minutes of the Joint Commission” by the ministers of Thailand and Sri Lanka Foreign Affairs at the Sri Lankan parliament, Sri Jayawardanapura. Speaker of the Sri Lankan Parliament, Mr. Joseph Michael Perera, receives the visiting Prime Minister of Thailand.